The Fairhaven Baptist Academy 7th – 12th grades visited Fermilab in Batavia, Illinois, for Physics Education Day. Fermilab is America’s premier particle physics laboratory. Collaborating with more than 4,200 scientists from all around the world, they perform pioneering research, operate world-leading accelerators and experiments, and develop technologies for science in support of U. S. industry. Fermilab produces the world’s most intense beam of high-energy neutrinos, particles that may hold the key to understanding why the universe is made of matter. Students from Fairhaven Baptist Academy were able to not only tour and learn about what Fermilab does to advance science, but also have a lecture/question-answer time by one of the scientists working on the new muons experiments. Fermilab has upgraded its accelerator complex to create beams of muons. Scientists plan two experiments, Muon g-2 and Mu2e, that will study these heavy cousins of the electron. Muon interactions could reveal the existence of new particles, forces and laws of nature. 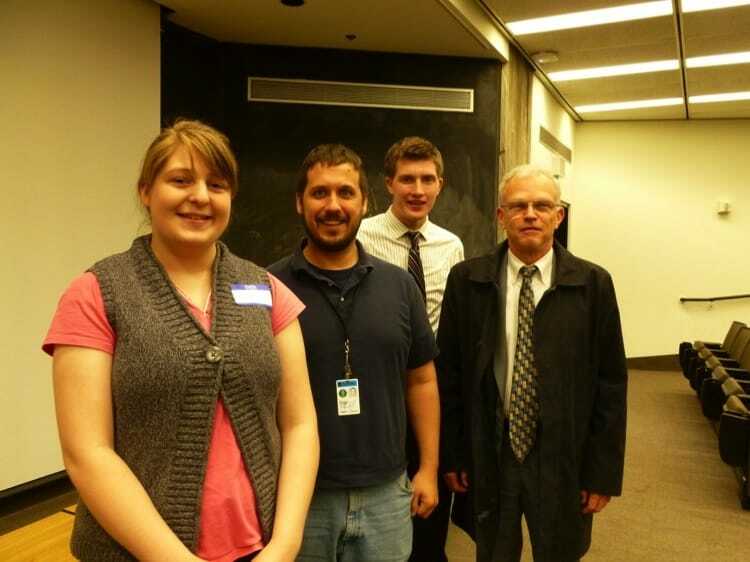 Junior Catherine Payton, Scientist Dr. Brendan Kiburg, Senior Owain Leake, and Science Teacher Tom Kelso.